The American Aquarium lineup that most of its fans across the country and world have been used to seeing take the stage for some 10 years is no longer. This is the news coming from a series of posts on social media Sunday (4-2) ahead of frontman, singer, and songwriter BJ Barham addressing the breakup rumors officially, and gearing up to embark on a 53-show and 48-state solo run staring in May. Lead guitar players Ryan Johnson and Colin Dimeo had already announced months ago that they were leaving the band, which began the concern from fans that American Aquarium was breaking up completely. Even though Ryan and Colin were cherished members, the nucleus of the North Carolina-based band remained in tact, especially long-time bass player Bill Corbin, drummer Kevin McClain, as well as pedal steel player Whitten “Whit” Wright. However on Sunday, it was announced in a private post on Facebook that these three members would be leaving as well. This stimulated BJ Barham to address the issue in a public statement. As BJ Barham says, American Aquarium has had a revolving cast of members over the years, so a shakeup is not strange for the band. But the latest losses do seem to be the most serious in the band’s history. BJ Barham is steadfast, however, in saying that the American Aquarium name will soldier on. Barham also attempts to put to bed any rumors of what and how the latest resignations occurred. 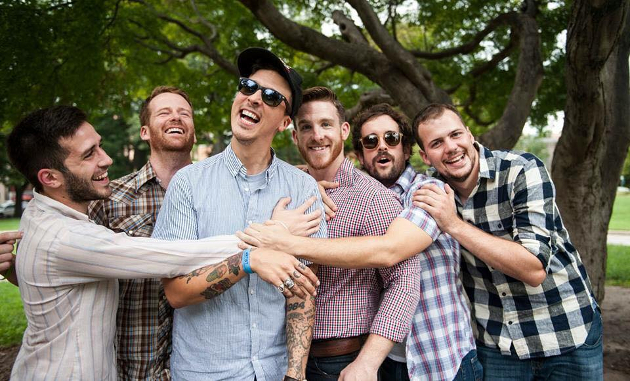 American Aquarium released their latest studio album Wolves in 2015, and a live album Live At Terminal West in 2016. Though from North Carolina, they are often identified with the Texas music scene, and have also one critical praise for BJ Barham’s songwriting. Their 2012 record Burn.Flicker.Die was produced by Jason Isbell. This saddens me but I am hopeful for the future. Saw them just last week in Edinburgh great gig.BJ is a fine songwriter and live performer I’m sure he will pull off this transition in his band.Good luck to him. I’m so glad that I drove up to Jackson in January. Didn’t know it at the time, but it was my last chance to see that lineup. I’m sad right now, but I’m looking forward to “Things Change” and BJ’s solo tour. BJ is American Aquarium. I hate to see this. I learned about them my sophomore year at North Carolina State University and they’re now my favorite band. I’m excited for the new record though. Great damn band, but it has to be a hard life grinding out all those shows at this level, year after year. I can understand why so many have come and gone. Really looking forward to the solo tour. Probably my most anticipated show of the year. Seems like a great time to transition to the “BJ Barham” name with a backing band ala Jason Isbell and others who transitioned from a band to a solo act, instead of the american aquarium name. Seems a little ridiculous to continue the name with a completely different band playing songs that were written in the past 10 years. I know i’m not alone thinking this. BJ is driven. There is no doubt about that. I just wonder if the new AA band members will want to stick around being treated like hired guns instead of like band members. When your whole band quits on you in the matter of 2 months, that is a tell tale sign that something is definitely not right. Especially when they have been in the band 10, 9, 8 and 7 years. It would seem like a good time to make the transition, but one thing about bands like this is the touring guarantees they can bring. You disband it, and you have to start over. If Barham thinks he can weather that, it may not be a bad option. That’s a good point about the guarantees of a band vs him solo. As ya’ll said, i could see it as a good time to just start going by ‘BJ Barham’ instead of ‘American Aquarium’, but AA has a decade of brand equity built into it. BUT I think BJ is so synonymous with ‘American Aquarium’ that only the casual listener would not make the connection between the two. Is there any way you could tell me? I have been a super big fan of these guys for years and I was just randomly googling their breakup again to see if I could uncover any dirt on what the true reason was. Would really appreciate it. if you understood how the band operated over the last 10 years, you’d know. From the outside BJ seems like a really driven individual. He’s not the type of guy I would want to bet against. I’m a huge fan of his songwriting, so I hope it all works out as either a band or solo act.